It’s arguably one of the least desirable aspects of being an EMS provider (at least in the eyes of many). 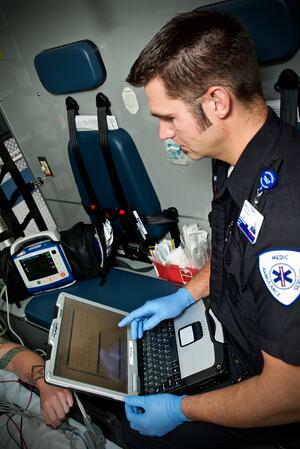 It’s also one of the most important components of any EMS call (next to patient care). It’s how we validate quality and compliance, how we communicate as a part of the continuum of care, and how we justify billing for our services. Given the value and importance of proper documentation, it’s unfortunate that the “typical” 200-hour EMT program focuses only 1% of its curriculum and time towards mastering proper technique. Students are provided with an introduction to SOAP, CHART, and some other forms of narrative templates, but are given very little opportunity to actually utilize any of them. Beyond that, they’re given minimal explanation into why their documentation is so crucial, and how it adds to the patient’s continuum of care – beyond the open-ended threat that, if done poorly, it might end up in court. Understandably, tacking on an additional 50 hours to the training program might not be the most palatable option. So guiding providers – both new and experienced – in the right direction might be the best route (which is one of the 6 Rs, as you may recall). Telling the story of what happened – what the patient said or experienced and what you did as a clinician – is the cornerstone function of your documentation. Once you hit “submit,” your report may seem to disappear into a magical abyss of background applications and folders, but it actually enters the forefront of many individuals’ radar. Suddenly, your report is in the hands of quality assurance reviewers, supervisors, billing staff, trauma registrars, stroke coordinators, medical directors, state and national data repositories, insurance offices, lawyers, Medicare stakeholders, administrators – and the list goes on. Having been involved in a part of this process for a number of years, I can assure you from personal experience that you will not be the only person reading your full report. What you select as values, how you clarify procedures, how you “paint the picture,” and how you validate your clinical care are all key components of the take-home message from your patient care report. Did your patient meet your selective spinal motion restriction criteria? Was your medication dose appropriate? 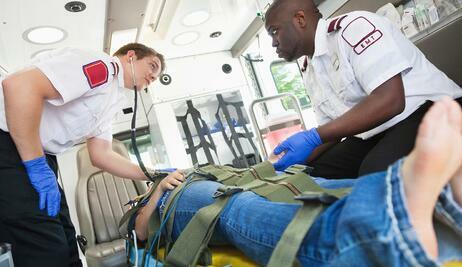 Did you adequately justify the patient’s need for stretcher transport? As our industry trends itself toward being one comprised of professional clinicians (regardless of your pay status), we can’t help but focus our attention toward the importance of quality documentation. Let’s face the truth: your story may be the only version that the hospital staff knows. If your patient arrives to the emergency department with an altered mental status, what you tell the physician and nursing staff – what you share in your written (or typed) report – may be the only background information that they have to work off of. Your documentation serves as a part of the patient’s continuum of care – and right at the beginning, too! Imagine your patient’s journey through the healthcare system. Let’s say that you transport a middle-aged patient who you suspect is experiencing a stroke. Last known well time (which you would time stamp) was fifteen minutes prior to your arrival at a grocery store, where staff members called 911 and activated your response. Your patient isn’t able to communicate to you (speech deficit); nor are they able to write anything (extremity deficit). The patient’s blood sugar is 110. Now you’re further confirming your differential diagnosis as a stroke. You load and secure your patient, start transporting toward an appropriate stroke receiving center, and notify them of a “stroke alert” patient inbound to their facility. What you document will be the only known, witnessed, and validated findings for this patient. What you share with the receiving hospital will help to determine whether or not this patient is a candidate for: tPA (Alteplase) administration, large vessel occlusion thrombectomy intervention, rehab and recovery care or palliative care. Your documentation can help to drive the continuum of care for your patient. So the pressure is on! That statement holds true not only from the procedure and actions perspective, but also from a billing and reimbursement standpoint. If your drop-down menus don’t adequately outline or explain a procedure or action with enough detail, then your free-typed response should. What’s the difference between ALS-1 and ALS-2 billing levels? Your documentation. What’s the difference between mileage for transporting to a further facility, rather than the closest? Your documentation. What’s the difference between insurance fraud and billing compliance? Your documentation. 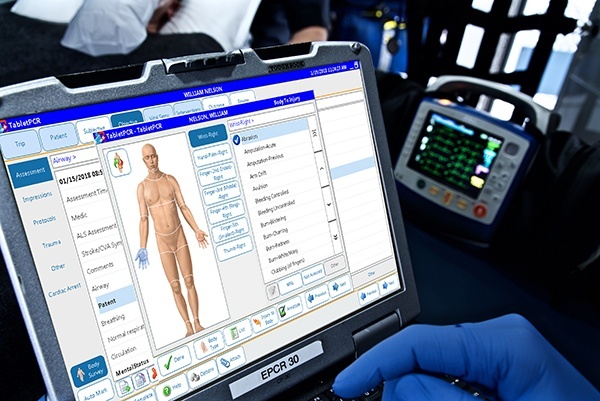 By no means do all of your EMS providers need to be Certified Ambulance Coders, but they all should be aware of some of the brief details behind your billing practices. Remind them the stakes are high, these details impact how your business makes money, and ultimately how your providers get paid. Whether it’s for quality, care, or billing purposes, telling the story is a crucial component of any professionally-written document. After all, we’re telling the story for others to read. Check out our webinar "Best Practices for Best Results: Documentation"